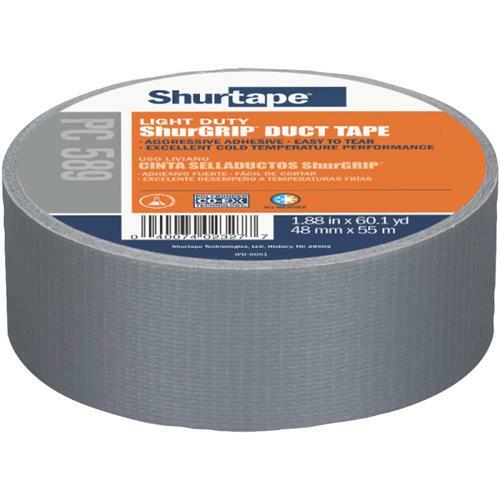 ShurGRIP® utility grade cloth duct tape that offers aggressive adhesive and best-in-class performance for sealing, seaming, repairing, holding and waterproofing applications, even in cold temperatures. Co-extruded PC 589 offers superior adhesion with quick stick; excellent holding power for indoor and outdoor use; and easy tear-ability to finish jobs with speed and ease. 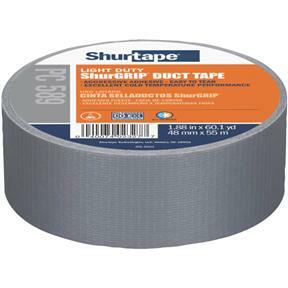 2" wide by 60 yd.